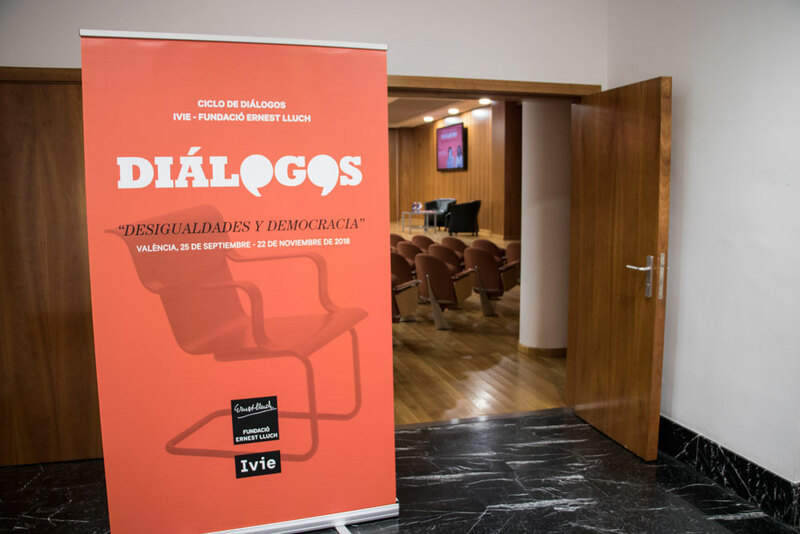 Cristina Gallach y Lina Gálvez protagonizan el tercero de los 5 Diálogos sobre Desigualdades y Democracia organizados por la Fundación Ernest Lluch y el Ivie en València. 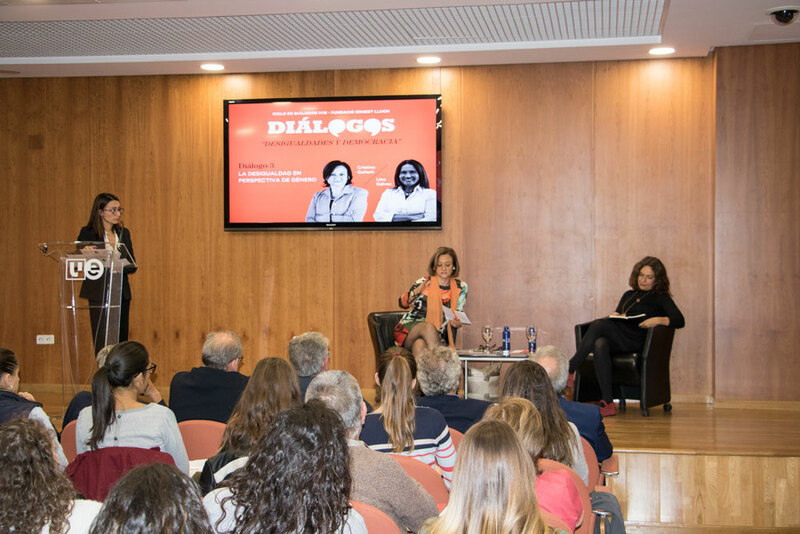 The Ernest Lluch Foundation and the Ivie continued with the five-part series Dialogues on Inequalities and Democracy, in which Cristina Gallach, High Commissioner for the Agenda 2030 in Spain, and Lina Gálvez, Counselor for Knowledge, Research and Universities in the Regional Government of Andalusia, were invited to discuss the question of inequalities from a gender perspective. 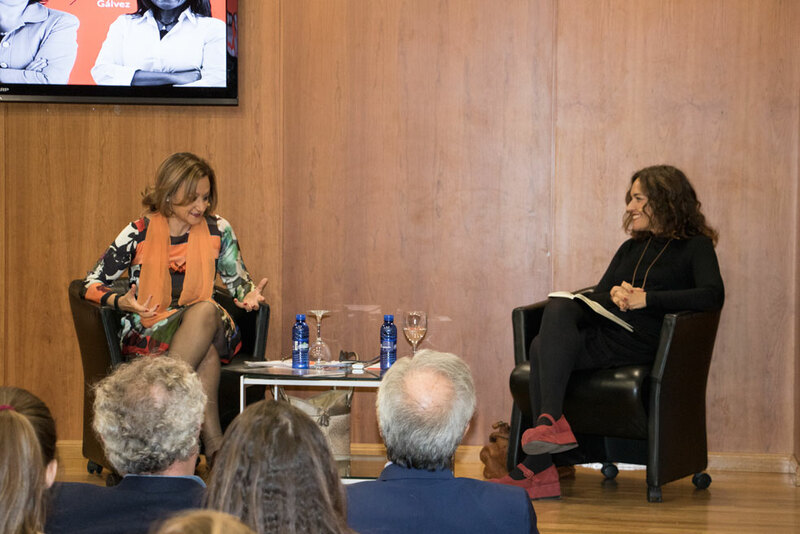 The two speakers acknowledged that Spain had made notable advances in the last forty years, but also that there was still a long way to go before full equality between men and women could be achieved. They also pointed out that the large, advanced democracies are responsible for the slow progress that less developed countries are making towards gender equality. 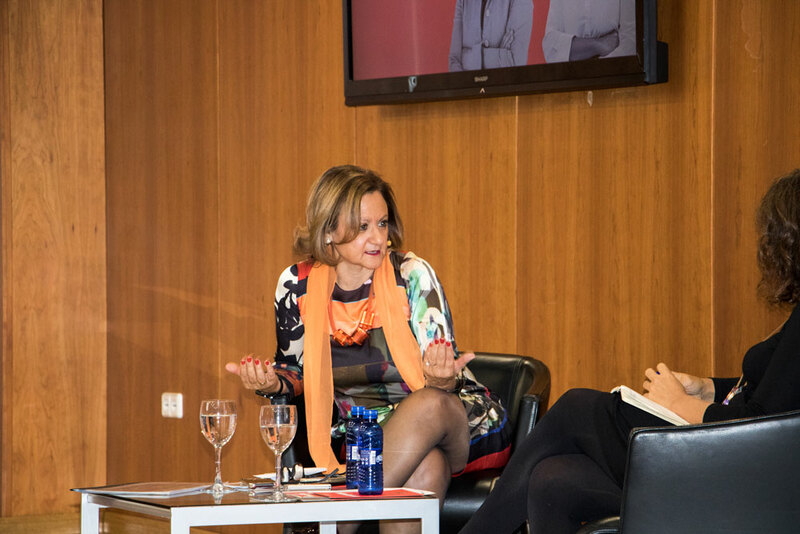 Referring to the labor market, Lina Gálvez explained that much remained to be done on the way to full gender equality because “although education data show that women account for 60% of university graduates, only 20% of Spanish university professors are female”, adding that “men also predominate in corporate managerial roles and science and engineering degrees, where women are still a minority”. The two participants also analyzed the opportunities that new technologies and social media offer in combating inequality. 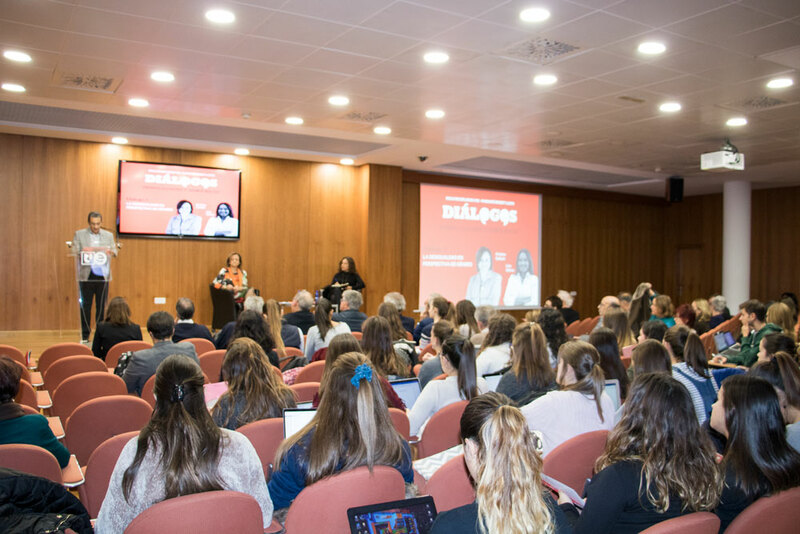 Cristina Gallach argued that technology should promote equality, but for this to happen, innovations must be developed from an inclusive, gender-equal perspective. 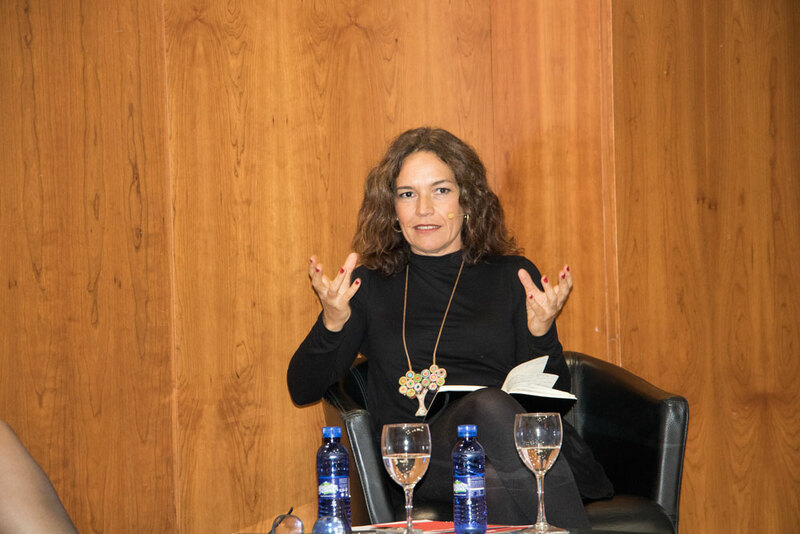 In turn, Lina Gálvez spoke about the potential dangers of social media when they are used to transmit sexist and degrading images and messages, although they can also provide a valuable channel for denouncing abuse and demanding respect for women’s rights. According to the Counselor for Knowledge, Research and Universities, men’s salaries increase when they marry and have children, whereas the situation is reversed for women: their salaries fall when they take on responsibilities for family members, because it is generally women who abandon their professional career paths to look after children or older dependents. In the same vein, Cristina Gallach called for measures to encourage remote working not only as a way of improving work-life balance, but also because it increases productivity and enhances individuals’ personal well-being. Gálvez supported this proposal, insisting that “the location-dependent work culture is a purely masculine phenomenon”. 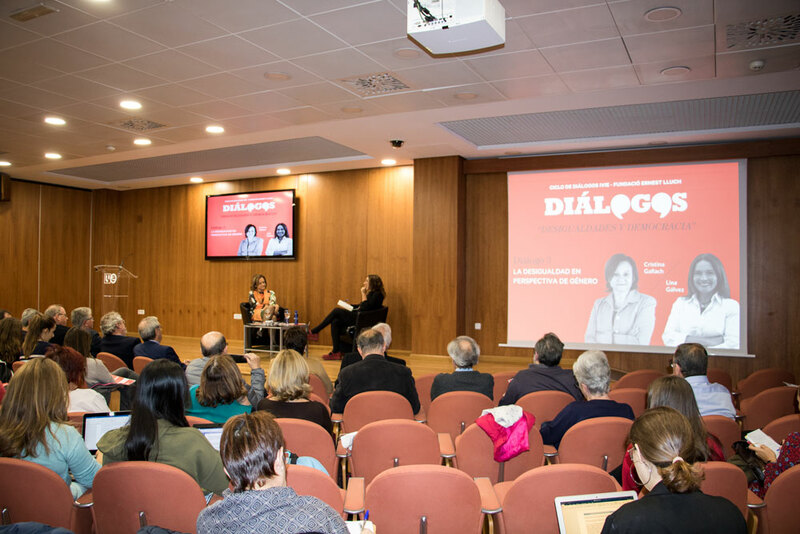 On the question of inequalities in the private sphere, both speakers agreed that society needs to abandon the assumption that family care duties are women’s personal responsibility, and shift towards a culture of shared care and collective responsibility. 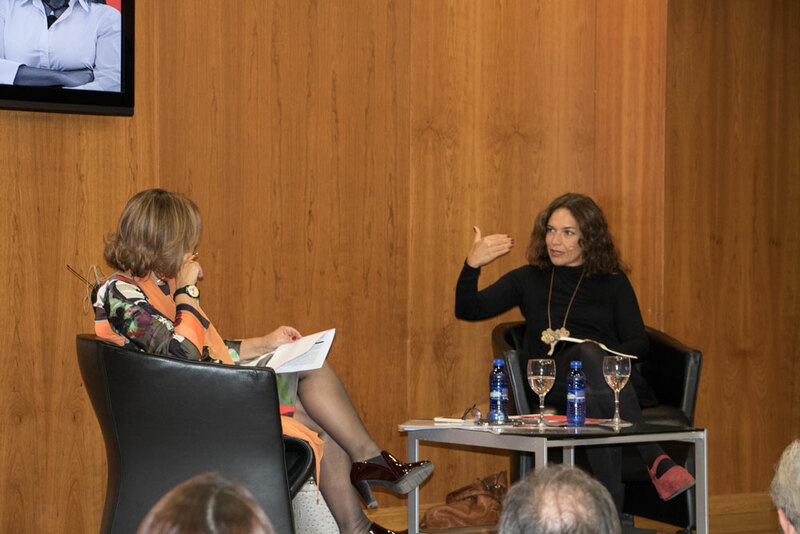 Finally, Cristina Gallach and Lina Gálvez both expressed their support for the introduction of quotas to ensure that more women reach positions in government, despite their “bad press”, arguing that legal enforcement of quotas is currently the only way women can access certain positions. 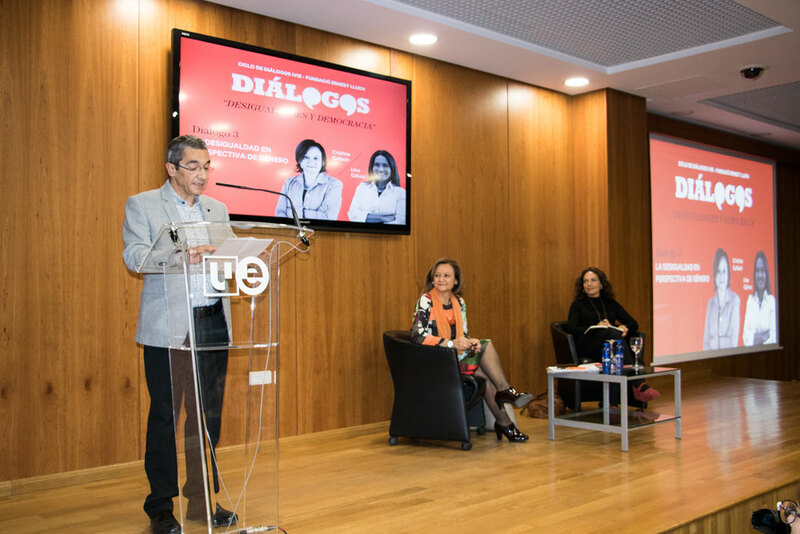 “Although men and women are considered equal, we start out from clearly unequal positions, which demands urgent rectification”, explained Lina Gálvez.